What is a creative WordPress theme? Is it one that includes creative elements or one that provides the proper tools for creative people? Well, we feel that when people are searching for creative themes it means that they desire something unique in their design. However, it’s also worth mentioning that these creative designs should include some helpful tools and features to assist creative people in reaching their audiences. What Features Should You Look For in a Creative Theme? If you crave a header that stands out or a slider that does weird animations like no other theme, this is the article for you. That said, creative themes don’t necessarily have to be weird. In fact, many of the most creative themes are those that look professional. It’s all in how you are able to customize and make the theme into your own. Who Should Consider Buying a Creative Theme? Creative themes are generally for, you guessed it, creatives. By that we mean artists, designers, and studios. However, many small businesses do well when they go for a more creative platform. Why? Because they’re able to show off their uniqueness and connect with customers on a more personal level. Along with that, it offers a way to match branding with the products or services being sold. 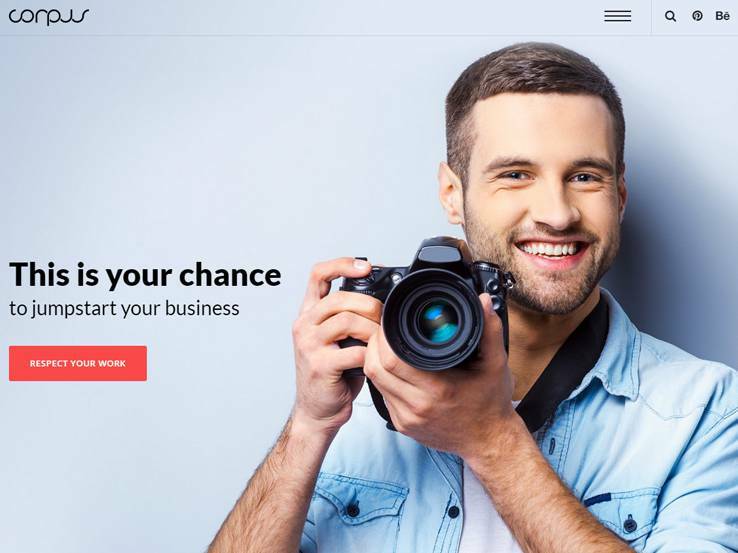 Rife is the Responsive WordPress Theme for Photographers and other Creatives to showcase their latest works. Rife offers plenty of excellent options that will satisfy even the most demanding users. You can modify almost every single aspect of the theme without having knowledge about programming. 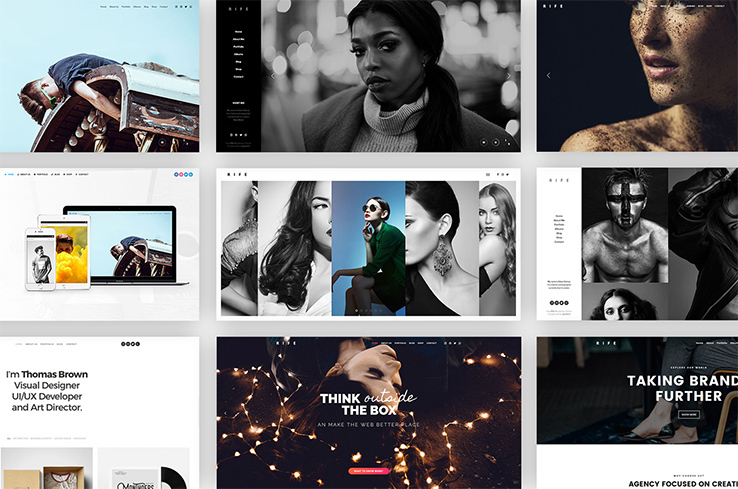 The Rife Theme contains a lot of features to help build your websites like 16+ ready designs, scroller, photo proofing, bulk tagger, premium support and much more. Also, the theme is compatible with WooCommerce to allow you to create an online shop. 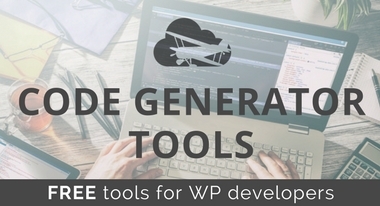 Rife is ready for translation with the use of WPML or native WordPress translation. 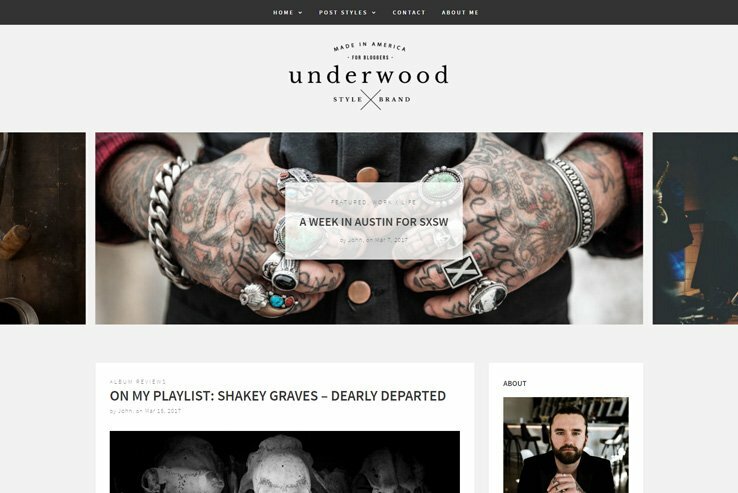 Underwood features a large elegant logo at the top, a stunning front page full-width banner, and a tiled Instagram feed that can be placed above the footer or in the sidebar. The theme comes across as professional and versatile, thanks to the clean and modern design with lots of white space that makes it perfect for content-focused sites. 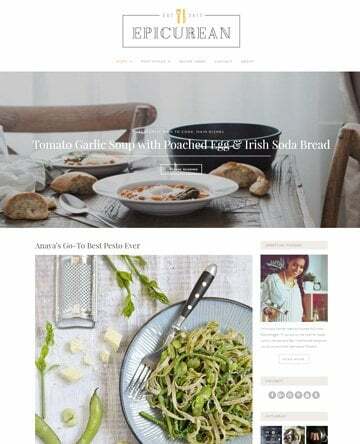 Besides the standard WordPress front page layout style that allows you to display your latest posts with large featured images, you get a cascading grid-style layout with or without sidebar. The theme’s 9 custom post formats enhance the variety of post layouts you can create when publishing your content. In addition to the standard WordPress posts with or without sidebar, you get audio and video post styles, as well as gallery posts with small or large banners. You can easily customize the template to look just the way you want. From the back-end, you can change colors and fonts to match your unique style. Custom widgets and widgetized areas allow for additional customization. 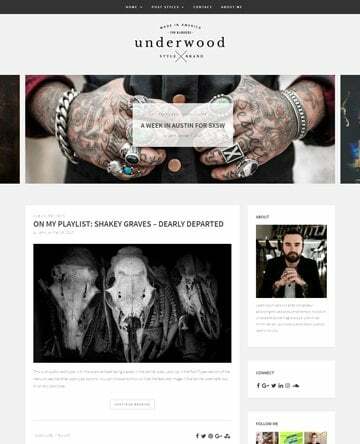 Last but not least, Underwood is mobile responsive, SEO-friendly, and performance-optimized. You also get social media buttons and premium support whenever you get stuck. 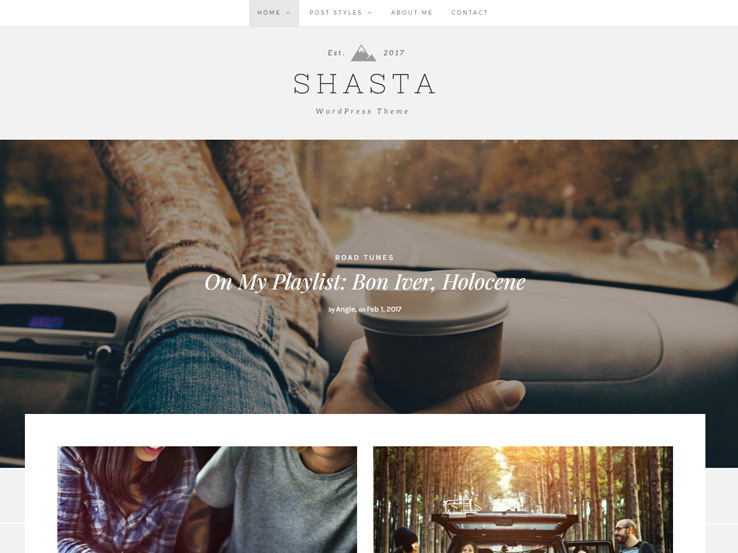 Shasta is an elegant, versatile and modern WordPress template with a range of creative features and options such as grid-style frontpage layouts, attractive full-width banners to highlight your best content, and 9 custom post formats including audio, video and gallery post types with large or small banners. Shasta is based on the slick Bootstrap framework, which makes it mobile responsive. This means your visitors will enjoy a seamless browsing experience whether on desktop, tablet, or on mobile devices. In terms of speed and performance, the template supports the two best performance plugins – WP SuperCache and W3 Total Cache, along with WooCommerce and other key plugins. You also get clean, lightweight code that’s optimized for search engines to help boost your traffic. 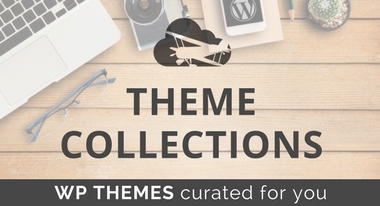 Thanks to the beginner-friendly theme customizer, styling your theme will be a breeze. Even without touching a line of code, you can adjust colors, change fonts, add a header image, change the front page display options, and more. Moreover, you get a nice beautiful Instagram feed that can be displayed in the sidebar or above the footer, allowing your users to see your photos and to follow you..
Shasta’s other notable features include social sharing buttons, Contact 7 form support and extensive theme documentation and support. 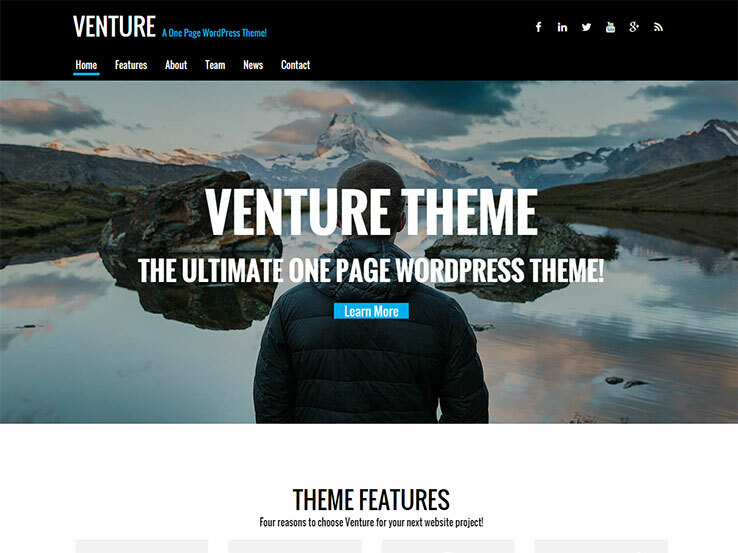 Studios and artists can rejoice since the Venture WordPress packs tons of features into a beautiful design, perfect for showing off your creativity. This is a one-page theme, which brings along some unique advantages that make it easy for potential clients to see your skills and portfolio. Each of the navigational items brings you to a completely new part of the homepage and each of the modules scattered throughout the homepage can be omitted. For example, if you’re an individual artist, you probably don’t have an entire team of people working for you. In that case, simply remove the “Meet the Team” area that showcases faces and links to social media accounts. You’ll be able to implement social media buttons in the navigational menu as well, improving your social presence and connecting with your audience. The parallax effects are great to add visual appeal to your website but the best part is the spot that features your most recent articles. After all, the blog is where you can show your knowledge and share tips and tricks with your audience. Therefore, it’s nice to have captivating images and descriptions leading to those articles. You also receive a beautiful responsive design. As with any theme built for creatives, you can customize fonts and colors, both of which are accessible through the back end of your WordPress site. 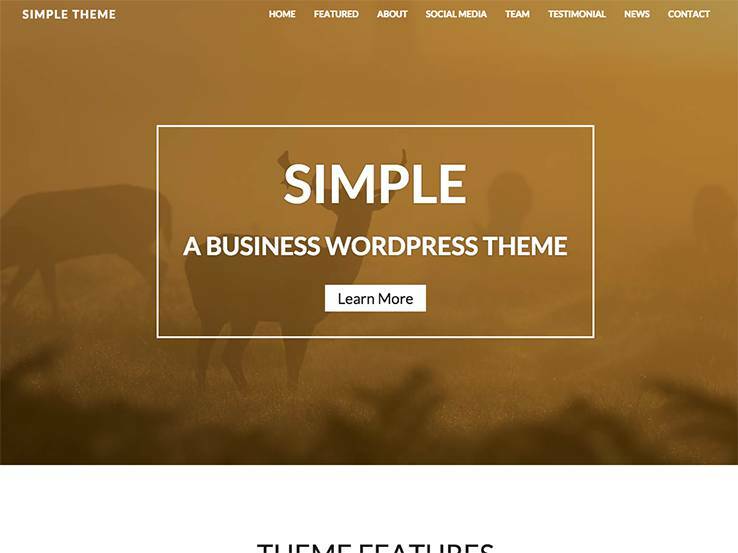 The Simple Business theme is a gem for creatives out there considering it has plenty of white space and elegant design elements for quickly showing off the best of your content. The header area is fairly simple, using social media buttons and navigational links to lead people to interesting articles and sales pages. The logo sits on the upper right-hand corner of the website, and it’s easy to upload your own to brand your site. 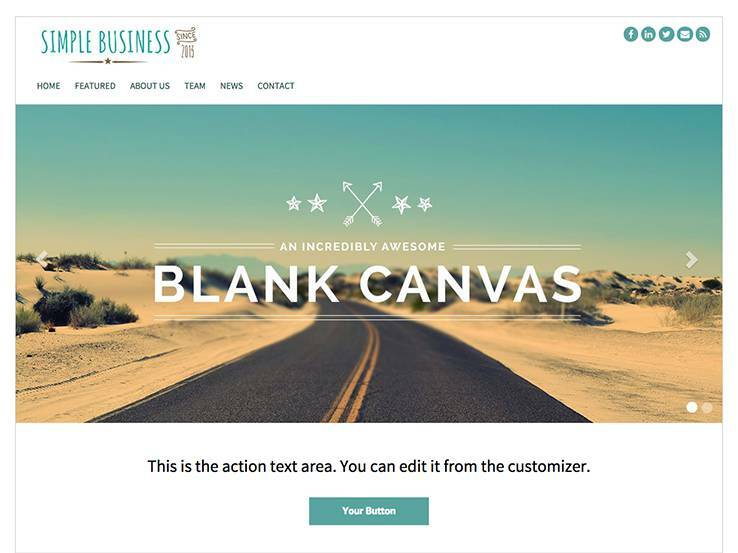 One of the top features that come with the Simple Business theme is the Revolution Slider plugin. Basically, the plugin allows for beautiful animations and stunning images so visitors can see promotions, recent articles or your own fun creations. Over 400 icons come packaged with the Simple Business theme and it even looks great on mobile devices. As you scroll down on the homepage, you’ll notice a focus on simplicity, with editable modules for showing off team members, latest articles, and a contact form. You’ll also find several call-to-action areas with overlaying text and buttons. 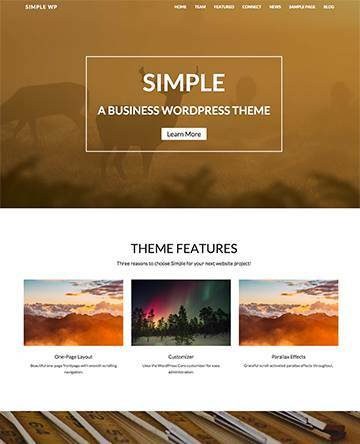 Overall, the Simple Business theme offers a photo-friendly layout with full-screen options and featured images that almost cover the entire content area. If you’re interested in building a creative presence with tons of images, keep this theme in mind. The Simple theme is a great choice for creative professionals who want versatility and variation when it comes to fonts and colors. If you take a look at the dashboard, you’ll immediately notice how easy it is to change logos, colors, and fonts, which are essential for customizing your site to match your branding. The beautiful theme has lots of front page layouts. You can create a slider area with parallax or static images. Creating a portfolio to showcase your latest work is easy; feel free to add or remove sidebars, all of which work well with widgets and plugins. There’s also a two-column blog layout so you can start growing your audience. The Simple theme looks rather nice on mobile phones, and it’s equipped with several SEO tools for increasing your search engine rankings. The typography can easily be customized with Google Fonts and the photo-friendly layouts are great for featured images, sliders, and featured posts. 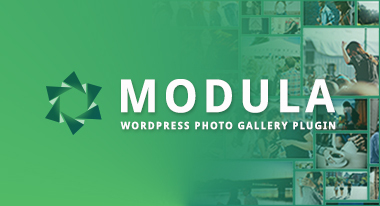 A gallery module is one of the more convenient solutions when it comes to creatives and agencies. Upload your own images, add a description, and watch as they show up perfectly in grid-based form. Whether you’re a photographer, writer, artist or other creative, the Simple theme provides the tools and settings to make your brand shine. 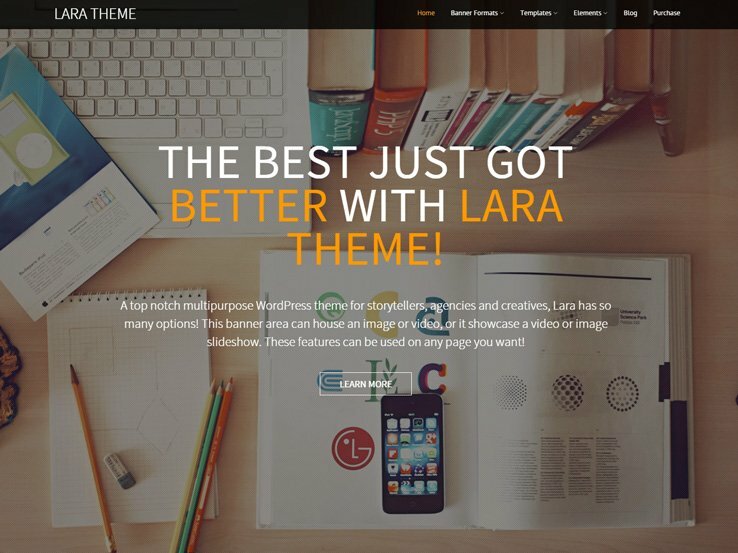 Creatives are known to make their own success through storytelling and the Lara Business Storytelling WordPress theme provides some handy elements for pursuing your dreams without much development work. 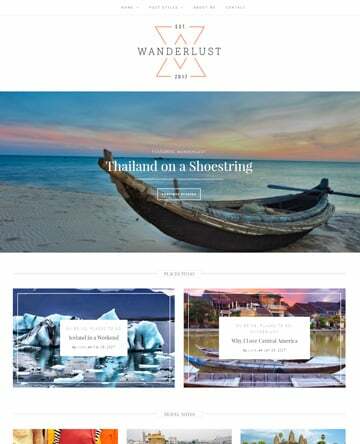 This is a one-page, responsive theme which works well for creatives, allowing you to place all the content on the homepage. The theme also includes a huge header with large text and buttons that serve as prominent calls to action. Agencies and artists will appreciate several page layouts which add a nice variety to your pages. One of the many modules in the Lara Business Storytelling theme is the featured image slider, which many have used as portfolios. It’s also a nice way to simply lead people to other pages or to link to your posts. Testimonials are always important for creatives and freelancers so be sure to include them on your homepage. You also may offer multiple services. The Lara theme provides several icons and a four-column service area for highlighting the primary services you sell to clients. Along with a contact form and various widgets, the Lara Business Storytelling theme has a certain advantage over the many agency and creative themes in the world today. 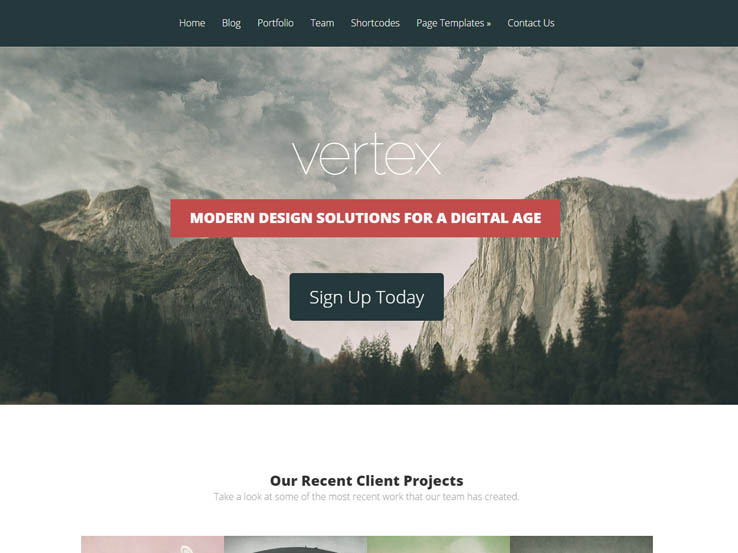 The Vertex theme is from the Elegant Themes company so chances are it’s going to be creative from the start. This is a fully responsive and stunning theme made for companies that want to show off their products and services. The beautifully animated content is made for scrolling and it has the options to share your stories through modules for galleries, sliders, member profiles, testimonials, and more. The unlimited colors make it easy for you to add your brand and the complete localization is ideal for reaching out to those who speak different languages. The theme has a one-page format and includes a parallax background that’s great for grabbing customer attention. Multiple page templates let you add pages with image galleries, full-width pages, portfolios, and more. The large header area with a background image and overlaying button and text serves as a great call to action. If you want to upload a video, Dorsey provides both Vimeo and YouTube support, which is a needed feature for creatives and studios. This theme is a solid minimalist solution with simple menus and a slider for turning your media into something special. The Dorsey WordPress theme works great for portfolios and other companies that are interested in a minimal layout. In fact, it works rather well if you plan on making an informational blog. 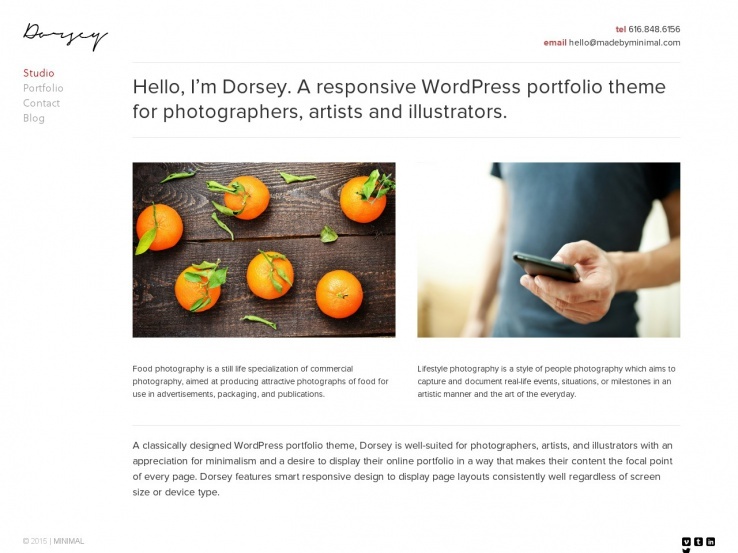 The Dorsey theme is one of the top minimalist WordPress themes on the market. Several social media buttons are included with the purchase, making it easy to send people to your social platforms. Also, the theme runs on a responsive layout, which is nice since many people are on the move when browsing the internet today. Dorsey has a sleek menu and a slider area to feature your photos. The unlimited portfolios are great for showing more of your past work while the WooCommerce-ready nature of the theme is perfect for selling products. Choose any of the Google Fonts to customize your typography, upload your own logo, and customize the colors to your liking. The built-in blog sports a clean and minimal look as well. We recommend the Dorsey blog for those who want to completely remove the distractions and put the focus on their content. Many people say that the Milo theme is one of the least complex themes they’ve seen and that’s why it works great for studios and creatives. The theme has a similar design to the Dorsey theme considering it’s built to work with portfolio elements and make your past work look great. The entire blog focuses on your current content and cuts out all the clutter that so many themes are riddled with. The portfolio items can display both thumbnails or large images and the responsive nature of the theme works wonders for those who want to view the website on mobile devices. WooCommerce integrates well with the theme, and you can upload an unlimited amount of photos. Image captions are editable and videos from YouTube and Vimeo work well in the theme. If you need some awesome customization tools, consider changing the fonts or background colors. You can also go into the theme and use shortcodes to add anything from buttons to columns. The built-in blog is always a plus, and the cleanliness of the Milo theme is reason enough to say that it’s one of the top solutions for those looking for a minimalist website. For those individuals and organizations that want plenty of white space, this is an option for you. Lastly, the theme comes packaged with several social media buttons, each of them customized to match the theme. 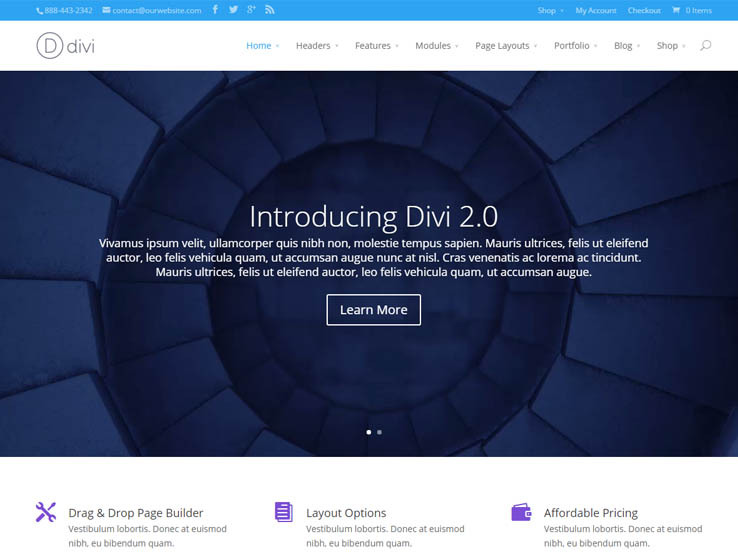 The Divi theme looks professional and somewhat minimal on the surface, but it’s one of the most creative themes on the market. The Divi Builder is the quintessential way for creative people to design a website of their dreams. Simply drag the desired modules to the desired sections on the page. You don’t even need any programming knowledge to make your site look completely professional. 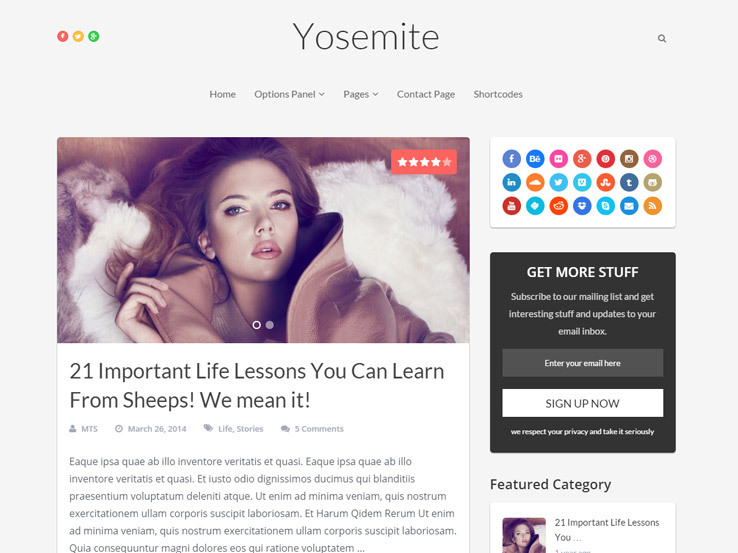 The pre-made layouts are extremely creative and a great starting point for your design. The responsive theme also allows you to create and save your own layouts, meaning that anything you generate can be used in the future. There aren’t many themes out there that offer this which is another reason why Divi stands out from the competition. The Fable theme is another theme from the folks at Elegant Themes and it’s one of the more beautiful options for those who want a theme made for blogging. The theme works great as a blogging platform to share your story through video, images, text, and more. The full-width format is ideal for placing all of the focus on your best content and the long form articles allow you to leave nothing out. Choose from unlimited colors for the ultimate branding experience, and watch the responsive design adjust flawlessly when you view the website on a tablet or smartphone. The shortcode options add to the creative nature of this theme, considering you can make anything from buttons to columns without knowing how to program a single line of code. The Yosemite theme has creativity built in since it’s inspired by Mac’s Yosemite. The fluid and responsive design is ideal for viewing on multiple devices, and it is built to increase engagement by grabbing the attention of your visitors and displaying the best parts of the site. The elegant and clean design is tested to ensure higher conversion and engagement rates, and the Adsense optimization means that you can easily display third-party ads as a way to monetize your website. The parallax scrolling feature is a nice way to grab the user’s attention and create a lasting impression. The shortcodes are also handy considering you can place them anywhere on your site and create beautiful modules without touching any code. Finally, choose from unlimited colors and backgrounds to easily transform your site into a unique experience. The Portfolio theme comes from the MyThemeShop company, and it provides a responsive and minimalist platform, perfect for creatives. The huge library of custom widgets is available so you can let your creativity shine. Display your works in style and make sure that your portfolio is the center of attention. The Ajax loading helps move your portfolio around and load the content pieces without any problems. The advanced portfolio filters ensure your visitors can quickly see the type of work they are most interested in. The theme also includes retina ready font icons and over 630 Google fonts. 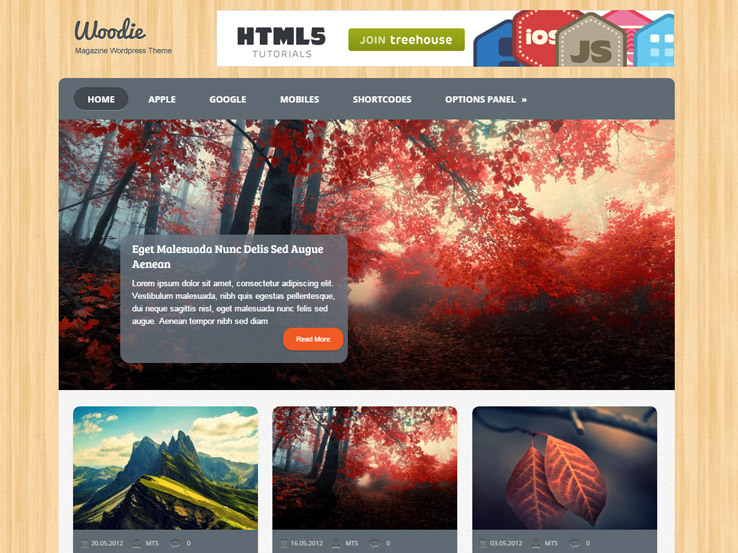 The Woodie theme is a fun take on the creative WordPress theme with a stunning wood pattern background and three-column layout. The theme was inspired by Apple typography so the overall design looks very elegant. Choose from unlimited colors schemes for a solid branding experience, and change the background if you don’t like the default wood pattern. The responsive theme has typography modification tools and the featured posts slider is great for showcasing your latest posts. Use shortcodes to instantly create items like buttons and columns, and try out the custom widgets to add additional content elements. The theme provides an area to include ads, just in case you want to monetize the site. The gallery-based layout is ideal for those who have many blog posts they want to feature on the homepage. 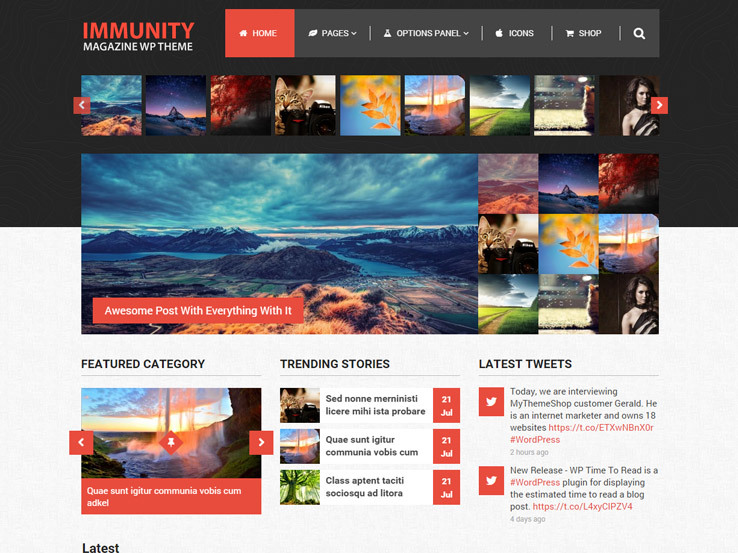 The Immunity WordPress theme comes from the people at MyThemeShop. The responsive theme is multipurpose as it works for anything from magazines to blogs. It includes WooCommerce integration in case you want to start monetizing your site and the custom widgets and shortcodes work wonders for customizing and designing. 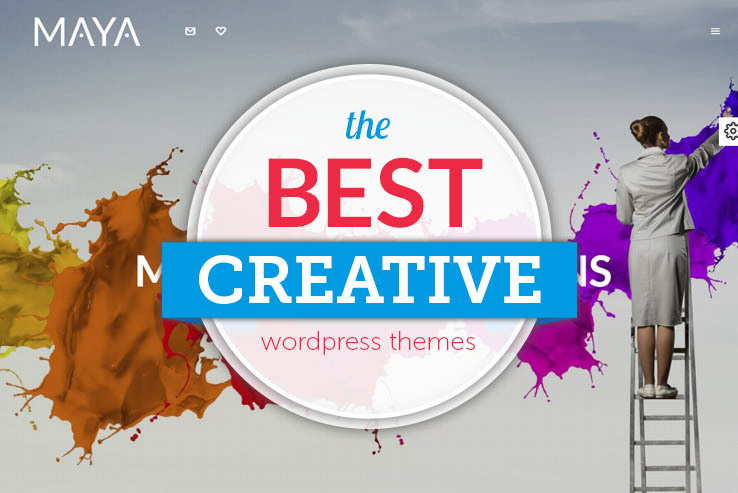 The theme is creative since you have the chance to choose from six different layouts. These layouts include Immunity, Immunity Wedding, Immunity Blogging, Immunity Video, Immunity Lifestyle, and Immunity Health. 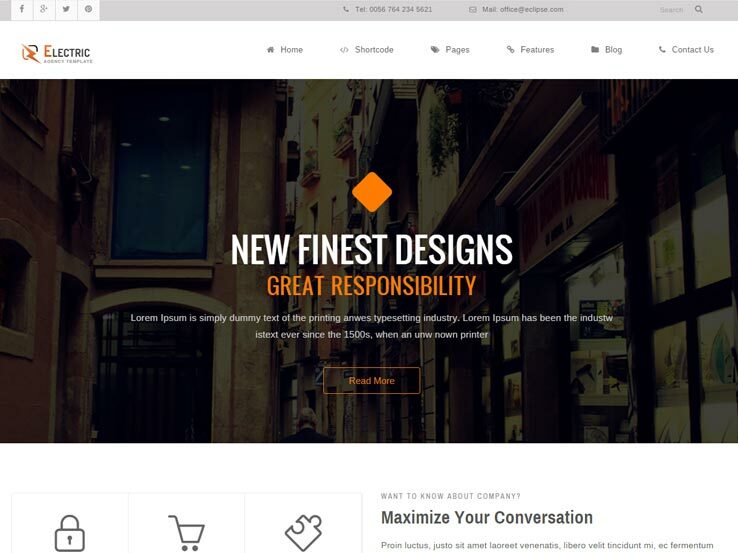 Spike is a responsive WordPress theme that includes a built-in rating system that works nicely if you want to create a review-based website. The theme provides multiple homepage layouts geared for specific niche markets and industries. The unlimited colors are ideal for incorporating your branding and the powerful options panel lets you customize every aspect of your website. 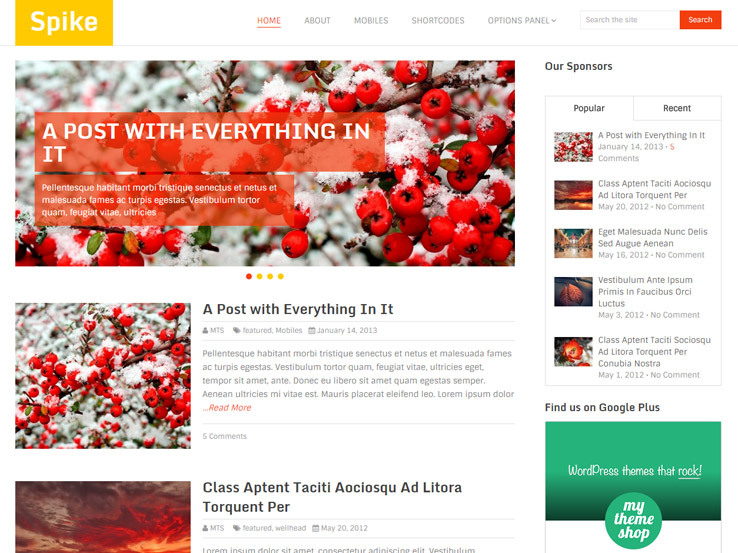 The bright and colorful theme is a perfect choice for any creative looking for a fun design. From widgets to shortcodes, you’ll never get bored with this theme. Solar provides an interesting header at the top of the page, along with a unique navigational menu that only shows up when the users click on the menu button. This customizable theme provides sleek animations whenever someone scrolls over images and the responsive design is perfect for viewing on mobile devices. 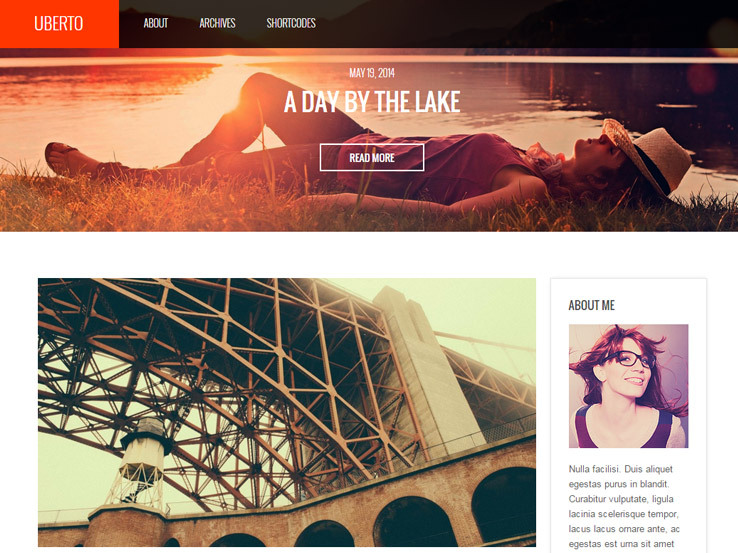 It’s a simple WordPress theme with sharp and simple designs. Place banners on the site if you want to start monetizing your content. Font Awesome icons are available, allowing you to add over 300 icons anywhere on your site. Digitalis is a clean theme with lots of contrast to make your artwork and photos stand out. It has a sharp, grid-style layout to feature your content and a slider that puts your content front and center. It includes a contact page and a no-sidebar page template. It has unlimited backgrounds using patterns, textures, colors, etc., to create the design you want. There’s even a lightbox to showcase your work. It’s optimized for Google Adsense so you can place banners. There are plenty of custom widgets and shortcodes for callouts, buttons, icons, 2-6 columns, tabs, accordions, back to top, Google Maps, and more. You can make a lot of customizations from the options panel. You can adjust general settings, styles, single page settings, social settings, ad management, and typography. It has 350 scalable vector icons, meaning the icons will look great at any size. And speaking of any size–the theme is responsive so it works great on mobile devices. Social media is built in, making it easy for you fans to follow you. You can sell your work through WooCommerce. This is an excellent theme for artists and studios. Uberto is a unique minimal theme that focuses on your content. It makes each post format stand apart in a unique way. It includes custom widgets for content, social networking, and more. You can choose from multiple color schemes. You can even have a different color scheme for each page. The full-screen hero image looks amazing and is sure to make your artwork and photos stand out. Images for your posts are massive, making this a great choice for those whose work is based on imagery. It’s optimized for speed as well as being Retina ready and responsive so it will look great on small screens. The theme is also SEO optimized to help you rank higher in search engines and compatible with the CSSIgnitor Shortcodes plugin so you can easily add buttons, boxes, grids, lists, quotes, headings, separators, maps, sliders, tabs, and accordions. There are plenty of theme options and easy adjustments to make this theme truly and uniquely yours. It’s also translation ready. This would make a fine online portfolio or blog that focuses on visuals, making it a great choice for artists and studios. The Stag theme is a creative solution with lots to offer. The responsive layout goes well with the wide variety of demo layouts, all of which cater to those who consider themselves creatives. The interactive portfolio is one of the most useful tools with a clear grid-based layout and powerful filter options so your visitors can quickly see only the works that interest them. The theme is also responsive, which is great considering more and more people use their phones and tablets to surf the web. 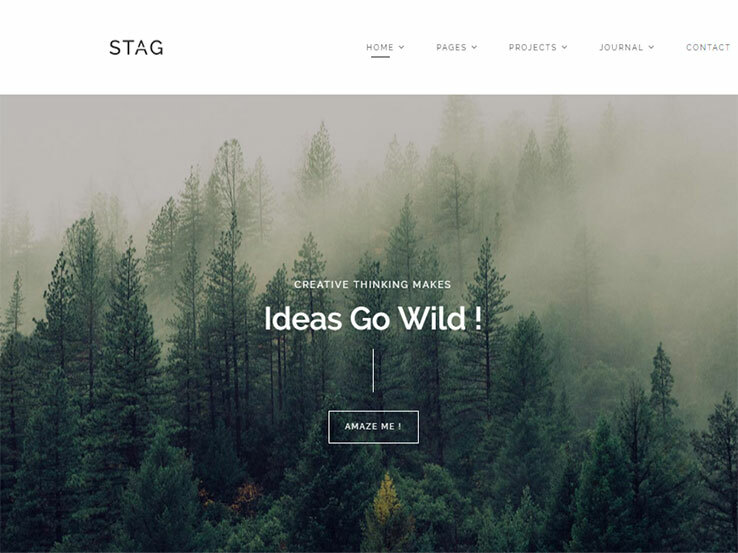 Several premium plugins are included into the Stag WordPress theme. Visual Composer plugin allows for a drag-and-drop interface, removing the need to touch any code along the way. The Slider Revolution plugin includes a beautiful slider with overlaying elements and animations. This plugin is not going to slow down your site like most other plugins. The translation-ready features make it easy to reach a global audience while the advanced typography is wonderful for finding a font that matches your branding strategy. 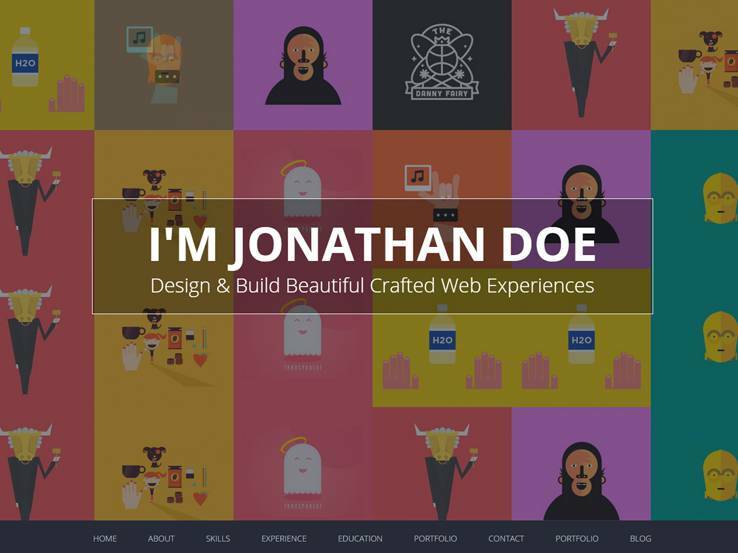 The parallax backgrounds allow you to get creative with your site without slowing it down. The versatile header is a nice bonus and the social buttons assist with sharing your content over the Internet and growing your audience. Some of the buttons are just for prompting people to follow you on the social networks and others are best to encourage users to share your blog posts, pages, and portfolio items. Along with animated content, SEO features and much more, the Stag WordPress theme is worth looking into. 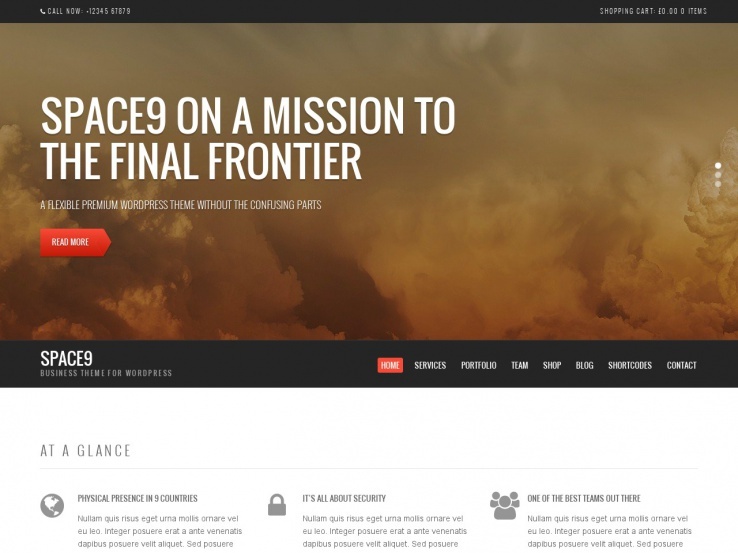 Consider the Space9 WordPress theme if you want a modern, creative layout with a beautiful full-screen header. The theme is designed to become a business or WooCommerce site, so you do have the chance to sell digital or physical items through the site if you want to. The responsive layout is a must, considering the use of mobile devices is on the rise. 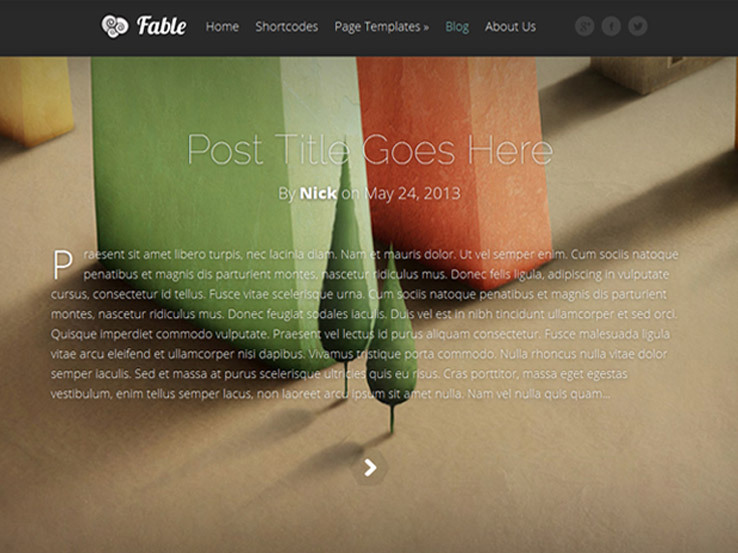 This theme has a drag-and-drop homepage, which is solid for both beginners and advanced users. After all, it allows you to customize the design effortlessly without touching the source code. The seven content types are wonderful for customization, and we’ll cover those a little bit below. The custom widgets work well for things like social icons and Flickr, allowing you to add additional content to your website. The slider is one of the more interesting ones we’ve seen because it allows you to add not only images but videos as well. So, for example, you could have a quick introductory video when people land on your site and that could switch to a banner about a new product that leads to a landing page of some sort. We enjoy the Meet the Team module since it allows you to feature your partner or coworkers. Share information about what they do and even link to their social media profiles. Talk about the features of your products and share testimonials to build trust with potential clients. Your blog is displayed as a list of articles, keeping people on your site for a longer period of time. Overall, Space9 is a pretty theme, so keep it in the back of your mind when looking for something more creative. 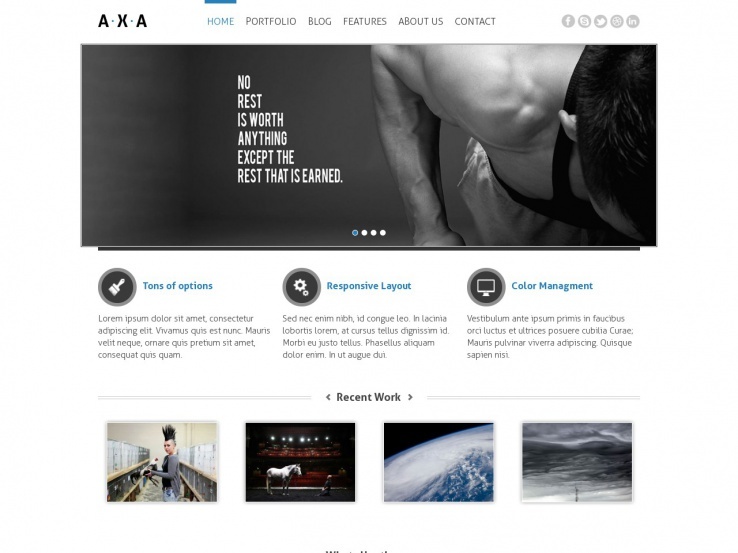 The Axa WordPress theme presents a beautiful example of what a business can do with a creative WordPress theme. Not only does it have plenty of white space to look professional, but this allows you to keep most of the focus on your real content. The slider is there to upload high-resolution photos to feature your work or latest posts. The theme is completely responsive and it has some awesome color management tools to keep things fresh. The majority of the homepage is managed with widgets. This comes in handy when you’re trying to be creative since you don’t have to spend much time fiddling with code. All you have to do is drag and drop the right widgets to organize your homepage content nicely. Show off a slider with your client logos and display testimonials that convince customers to buy from you. Overall, it’s a solid theme for setting up a portfolio. 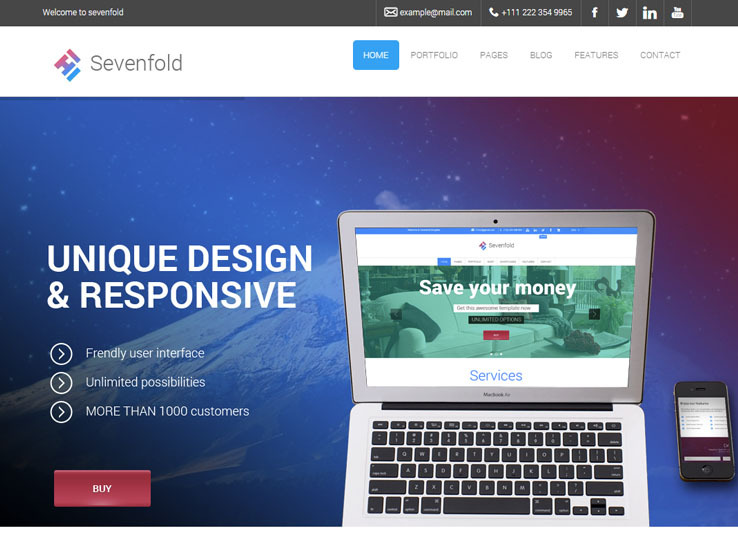 The Sevenfold WordPress theme is the perfect choice for anyone who needs a creative website redesign. Not only does all of your contact information reside at the top, but you can use the stunning slider to create a unique homepage layout. 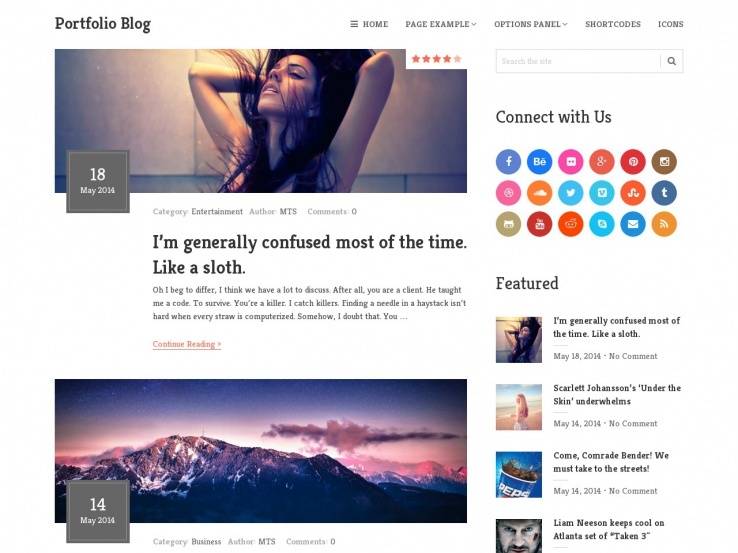 The whole point of the Sevenfold WordPress theme is to setup beautiful portfolios. It’s great for agencies since it has a technology style to it. The Slider Revolution plugin is included with the Sevenfold WordPress theme, which is essential when trying to get the word out about new products and services. Not only that, but you get several homepage templates so that you never have to start your design from scratch. The theme includes a wide selection of widgets and the drag-and-drop builder is ideal for both beginners and advanced users alike. 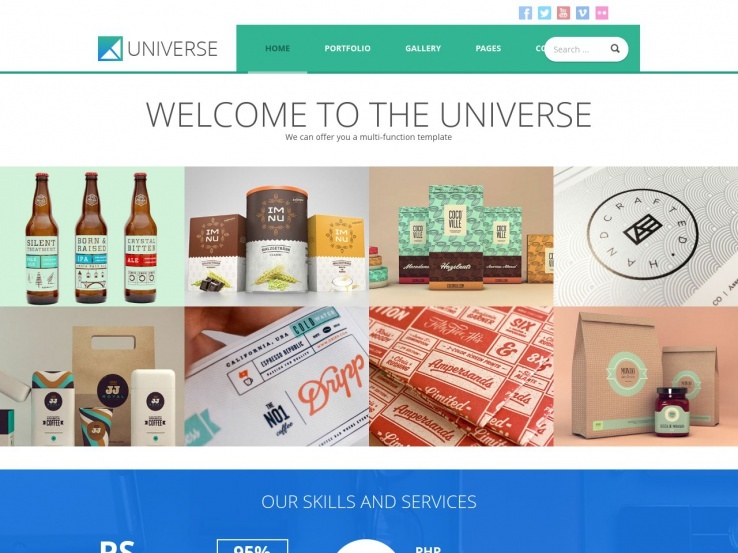 The Universe WordPress theme is one of the more colorful and playful options on this list, as it provides a beautiful header module with a navigational menu and search bar. An introduction area is great for providing a quick intro about your company or your services, which leads into a stunning portfolio gallery with a grid-based format and thumbnail images. As for the portfolio, it’s highly customizable and you gain access to some social media buttons. The contact form is one of the most impressive parts of the theme since it adds a little spice to the creativity. Add the Google Maps module next to the contact form to direct people to your store. The custom background and logo are there for branding purposes while the entire backend is compiled into one customization module making it much easier to customize your website. 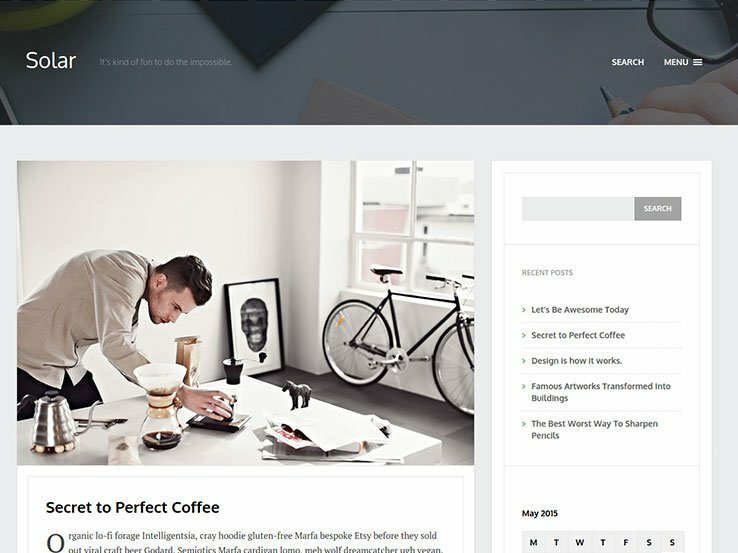 The Corpus WordPress theme offers a responsive corporate layout that looks great on mobile devices and a design that looks professional for selling your services. The developers put a strong focus on the user experience, and it shows, since an advanced header is a great start for showing people what they can expect from your company. It also allows for overlaying text and buttons to send users to the right sales pages. If you don’t have many coding skills or if you’re pressed for time, you can use the drag-and-drop editor to speed up the design process without delving into code. The powerful framework is built for customization, and the demo content ensures you don’t need to start your design from scratch. Corpus provides a live color customizer, which works rather well to find the right look for your brand. Choose from a stretched or boxed layout and use the translation features to connect with clients throughout the world. The rich typography options are a nice bonus, while the multiple footer layout offers a unique solution for those who like to implement a wide variety of widgets. Along with a smooth parallax scrolling effect and many other features, the Corpus theme is one to keep an eye on. The Vulcano theme comes from the folks at TeslaThemes, which is a highly reputable company focused on sleek designs and clean layouts. 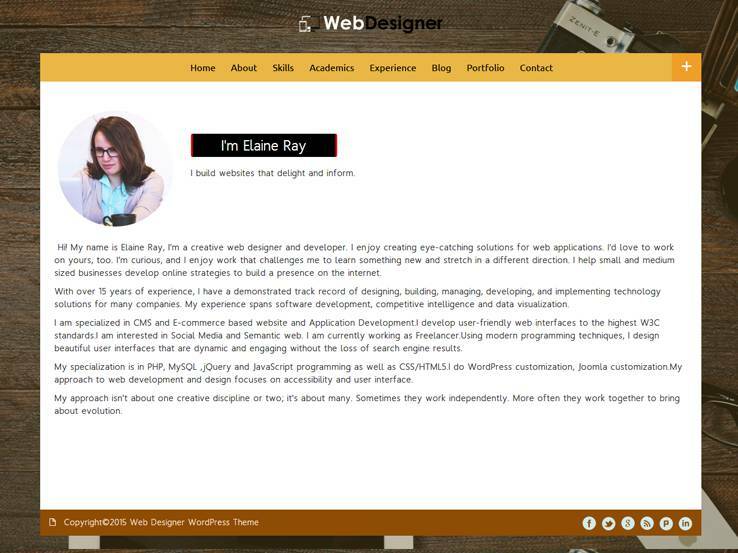 This one is all about the creativity since it has a white background and a beautiful portfolio area on the home page. The portfolio is grid based with the images close together to add a unique effect. 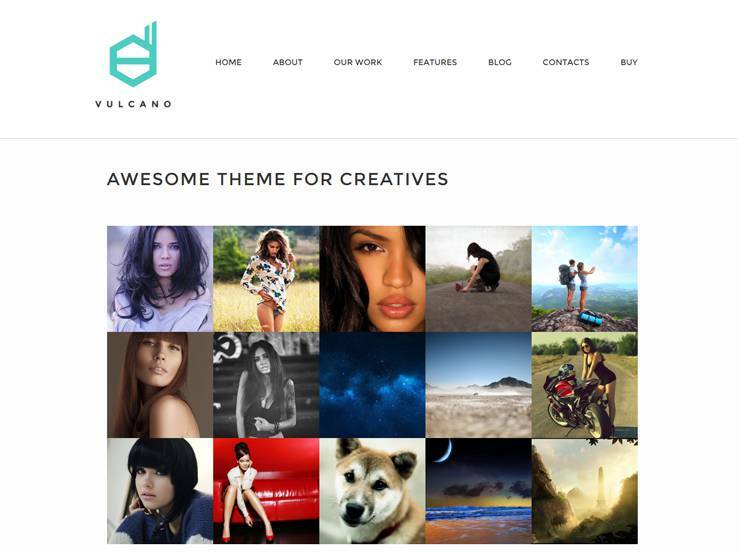 As with most of the theme on this list, the Vulcano theme is responsive. The customization tools are great and you can integrate with the Google Maps, to provide easy directions to your own design studio. The newsletter subscription form is a huge bonus and it allows you to export a CSV file to import into any other email service like MailChimp or AWeber. The theme allows for demo imports with a single click and the contact area provides custom icons to fit with your brand and add some visual aspects on an otherwise boring page. Feel free to customize your background to add a touch of your own style to your website. The custom logo is nice and various social media links and sharing buttons add credibility to your site and encourage users to share your content across social networks. Along with custom widgets and an awesome filterable portfolio, the Vulcano theme has what it takes to send your design career to the next level. It also includes several built-in shortcodes to add anything from buttons to columns, without the need for custom coding. 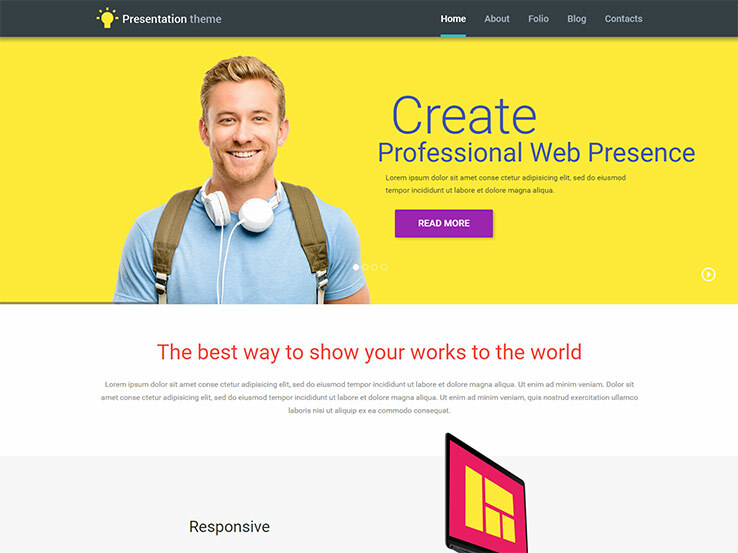 The Web Presentation theme has a wonderful full-screen header image and the theme works great for designers who are looking to sell services for presentation designs. However, it can also be used to build a website for other design services as well. The 100% responsive design is a standard in the industry today. Some standout features include many custom post types and multilingual aspects of the theme. You can implement a gallery post type to show off several images in a professional format. Over 80 shortcodes are included to improve your workflow without having to deal with custom coding. Along with a two-step installation process, the Web Presentation theme has multiple color options and a beautiful filterable portfolio to show off your best projects from the past. The theme includes a lifetime of free updates and custom widgets are handy for implementing items for comments and social sharing. The built-in theme customizer has the functionality to moderate settings as well as built-in typography options. This theme really has quite a few features, so don’t forget that you get advanced backups and fantastic sliders for showcasing cool promotions. The Electric theme is a wonderful choice for designers of all shapes and sizes. The theme integrates well with quite a few important plugins, including the Visual Page Builder plugin and Layer Slider. The page builder keeps your hands free of any coding and speeds up your design process and the slider allows you to highlight your projects, recent posts or your services. Several niches are covered with multiple templates. Because of that, the theme is equally suitable for dentists, doctors, and agencies, as well as for photographers, creatives, freelancers which can make great use of portfolio layouts. 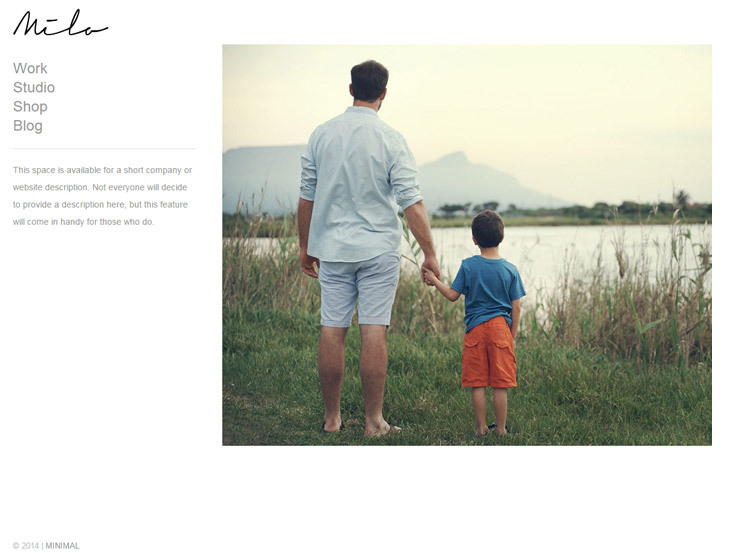 A wide range of portfolio layouts are provided and you can change the header to make it sticky. The header is big enough to reel in the user and show them what you have to offer. The mega menu builder has the unique power to include tons of pages into the menu, while the form builder works well for contact forms and surveys. The footer grid builder makes your footers more organized, and the single click demo install is just what you need if you’re not looking to spend tons of time uploading photos and other content for your new website. Check out the Flatoo WordPress theme if you’re interested in creating an online resume for your design services. This is an awesome theme since you can basically put the majority of your content on a single page. It puts all the attention on your own work instead of showing sidebars and other useless content. The main goal of the theme is to help you sell your design services. Flatoo provides a drag-and-drop page builder for those of you who would like to speed up the design process. Along with that, the theme is fully responsive which ensures your website looks great even on smaller devices. An animated background is the most unique part of the Flatoo WordPress theme and you can change the animation to make it fit your own brand. The filterable portfolio comes in handy when potential clients want to see how good you are as a designer. The header area includes spots for explaining who you are and for placing a logo to improve brand recognition. A blog page is included with the Flatoo theme, which helps you share design tips and boosting your SEO. The technical skills area has several pie charts present your skills in a visually appealing way. 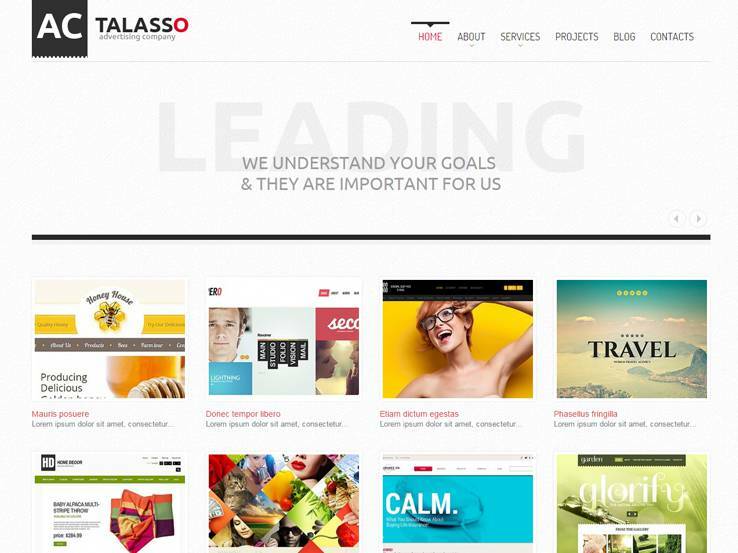 Consider the Talasso WordPress theme when you’re looking for a theme that’s far from the standard layout for your usual marketing agency theme. The theme is sure to impress your visitors with a text-based slider from the start. You can change the text or even have some images to explain the services you provide as a web designer or developer. The first part below the slider is a portfolio gallery. It’s not a filterable portfolio but it includes image thumbnails which look beautiful. A little title and description can be added right below each of the portfolio items, and when someone clicks on a thumbnail they see a lightbox version of it. This works exceptionally well on mobile devices which many people prefer to use to browse the Interner nowadays. Further down on the homepage you can showcase all your services in a list of columns with creative and colorful typography. The titles are in different colors and the descriptions are in smaller text right below the titles. You can also include links to even more information on other pages. Testimonials are an incredible way to accumulate more customers for your web design business. They help you build credibility and are another way to prove your expertise. They include images of your previous clients along with their name and their website. Social media buttons can be used on the homepage, while all of your contact information resides comfortably in the footer at the bottom. Check out the WebDesigner WordPress Theme if you’re inclined to share your website freelance services with the world. Although it’s not the most modern layout, it has a simple outlook on what’s most important for a freelance portfolio. Provide a brief explanation of your services and enjoy all the benefits of a responsive design which looks great on mobile devices. The theme includes great visual elements to grab the attention of your visitors and the horizontal scrolling is sure to make you stand out from the competition. 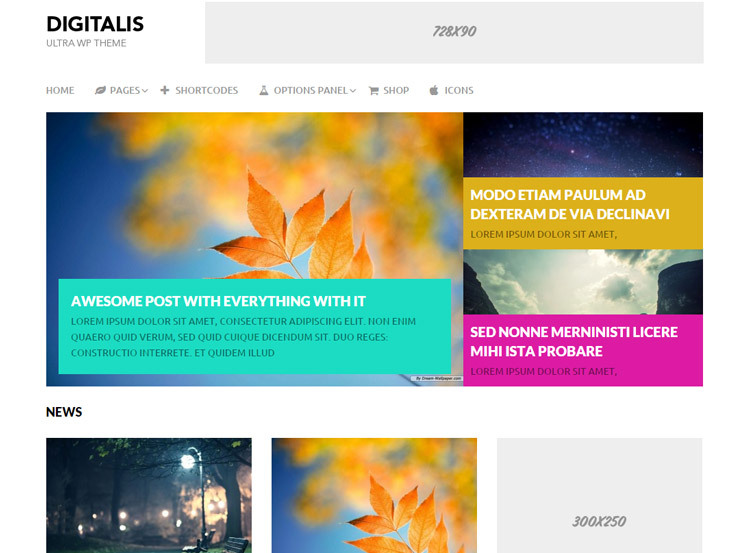 This is a colorful theme with an elegant design. You can customize the background, along with some social media links that are great for building your presence online. 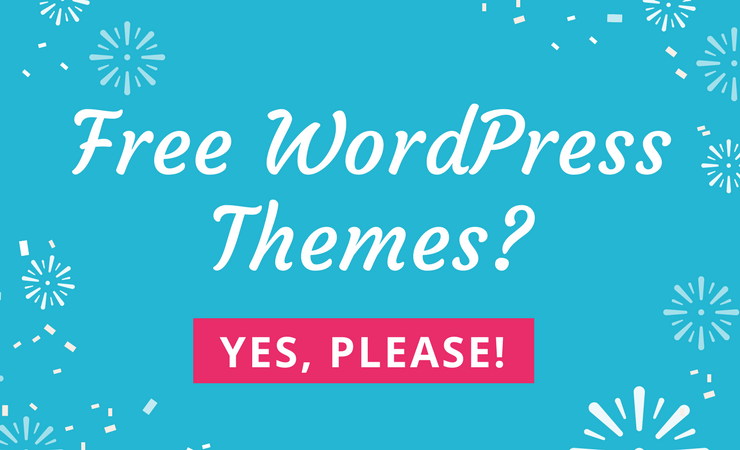 What else can this simple WordPress theme do for you? Well, a blog is included for sharing your inspirations and thoughts and the filterable portfolio brings up large versions of images for people to see exactly what you’ve done in the past. The main thing I like about the portfolio is that when you bring up one of the images you can then scroll through them instead of going back to click on a new one. This makes it incredibly easy for potential clients to view your past work. Thanks for the feedback and suggestion! We appreciate it.